How can I import additional sales history? 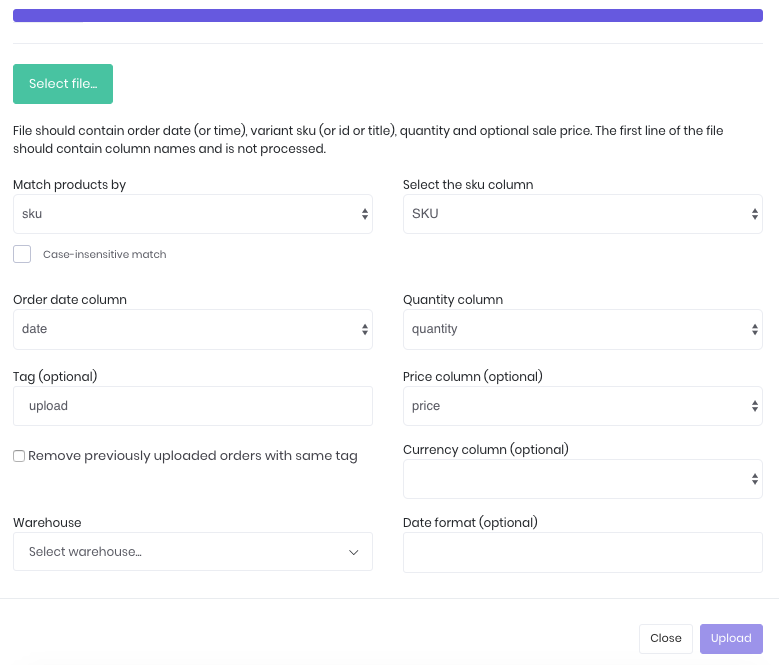 Add more sales order to your Inventory Planner account if your connected platform is missing historical sales information. Importing sales history directly to Inventory Planner should only be done if past sales information is not available through your connected platform. When connecting Inventory Planner to your platform, historical sales information will sync to your account. If you have recently changed platforms, it may be useful to import additional sales history to provide more information for forecasting customer demand. Imported sales should not overlap with data already available in Inventory Planner. For example, if sales data from your platform starts September 1, then your import data should go up to August 31 only. 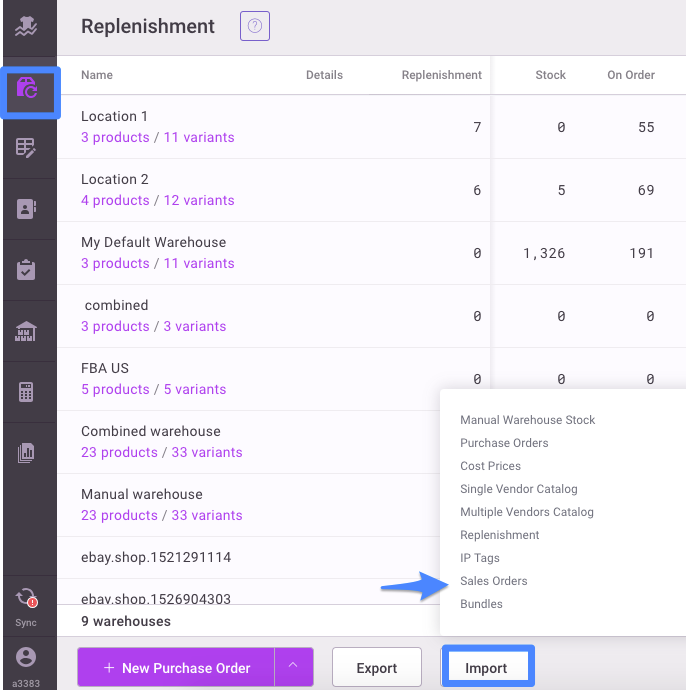 To import sales history click on Replenishment > Import > Sales Order History. Your sales information should be in a CSV or XLS spreadsheet with the following column titles: SKU, Order Date, Quantity, Price (optional), and Currency (optional). Instead of SKU, you may alternately use Title, ID, Vendor Reference, or Barcode to match sales information with the correct variants in Inventory Planner. Note that the price should be the price paid by the customer for each unit. It is not the total revenue for that variant on that date. In Inventory Planner, click on Select File to connect to your sales information. The file is successfully connected as indicated by the solid bar at the top of the dialog box. Check to make sure that column titles from your spreadsheet are matched to the correct corresponding field in Inventory Planner. When all fields are matched correctly, click Upload to finish the process. It may take some time for the new data to load and reports to recompute. You will see when the upload is finished and recalculations are complete by looking at the sync icon at the top of the screen.